Sometimes it seems like you need a vacation from your vacation. Although you usually associate traveling with relaxation, there are some aspects that can definitely stress you out. 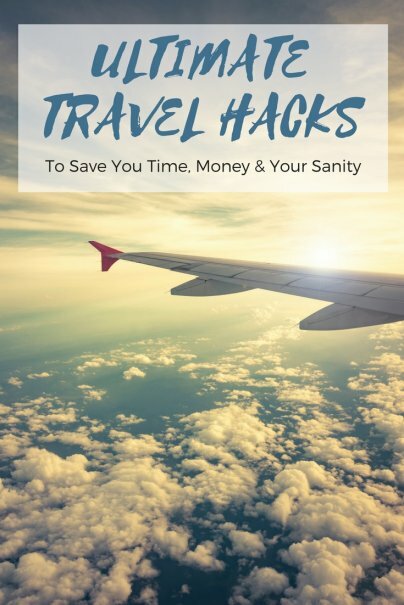 Luckily, we've complied some awesome travel hacks of our own and from Quora that will help make your trip more smooth. 1. Delete people from your photos. Upset that you can't get a good shot because of all the tourists milling around in the background? According to Sameer Gupta, there's a lifeprotip that gets rid of people in your photos. "Put your camera on a tripod; Take about 15 pictures about every 10 seconds; open them all in Photoshop from File->Scripts->Statistics; choose median." 2. Empty water bottle. Since you can't bring water bottles through security, bring an empty one to fill up when you're in the airport. 3. Sleep tight. Bring eye masks and ear plugs with you so you'll be able to get a good night's rest on the plane and your lodgings. 4. Clothes that dry quickly. Bring clothes that dry quickly so you'll be able to wash them at the end of the day and wear them again the next. This cuts down on the amount of clothing you bring with you. 5. Book the aisle and window. If you're traveling with someone and your flight has rows of three seats, book the aisle and window seat and leave the middle seat empty. It's likely to remain empty if the flight is not full, because people usually choose the window and aisle seat. And if someone does pick that seat, they'll be willing to switch with one of you. 6. Google maps. Use the hidden offline maps feature of Google maps to access it without an international plan. Kartik Ayyar explains, "You can use this feature by simply zooming to a map area you want offline in the maps app and typing "OK maps" into the search box, and then this data will be available even when you don't have data connectivity… Works in both the iOS and Android apps. I also suggest 'starring' places of interest since you can't search or route when offline." And as for routes, "take screenshots of searches when you are online… and use them as guides." 7. Be one of the first people to board in your seating group. It's good to get in line and board as early as possible so there's enough overhead space for you to slip your luggage in. If you board too late, your luggage might have to go in cargo, which means it'll take longer for you to get off the plan than if you stored your luggage in the overhead bin. 8. Pay-as-you-go cell phone plans. Bring an unlocked phone on your travels, and sign up for a pay-as-you-go plan. 9. Use a phrase book. You don't have to become fluent in another language, but carrying a phrase book around and knowing the basics will help you get around better in a country where English isn't the first language. 10. Go to the airport early. Arrive early, so you don't have to make a mad dash against time to make your flight. Unforeseen incidents can happen along the way (traffic, forgotten identification, etc. ), so it's best go have a time buffer. 11. Keep a copy of your passport online. Keep a copy of your passport in your email inbox, so you can print it out if you ever lose your passport. This will help expedite the process of getting a replacement. 12. Rent houses or apartments. Check out the rental rates of houses or apartments in the area on sites like Airbnb, Homeaway, and VRBO while you're checking out hotels. Chances are, you'll get a better rate and some cool perks. 13. Check out Charles Schwab High Yield Checking accounts. According to Brian Tse, you should get a Charles Schwab High Yield Checking account when traveling internationally "because it refunds every single ATM fee worldwide, requires no minimum balance, and has no monthly service fee." 14. Money belt. Use a money belt, or sew a pocket in the inside of your clothes when traveling in places where there are lots of theft. 15. Split your cash stash. 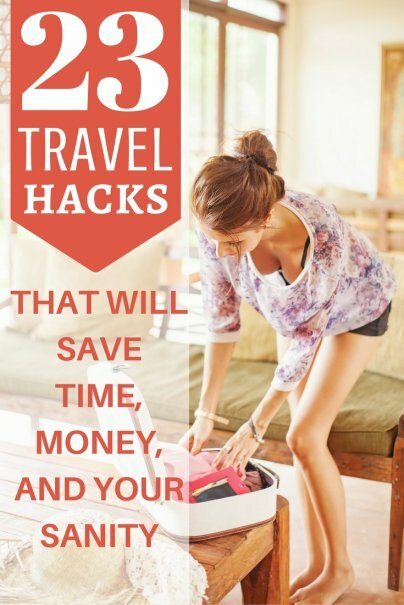 Put cash in various places, such as your wallet, pocket, shoes, and your luggage. 16. Ask your hotel for a charger. Hotels usually have a stash of forgotten chargers left behind by hotel guests that you can borrow. 17. Bring an external battery for your cell phone. Walking around all day can make your phone quickly drain, especially if you're relying on it to be your GPS. Get an external battery or a car charger if you're taking a road trip. 18. Hotel upgrade. Ask for a free upgrade at the hotel when you're checking in, because it doesn't hurt to ask, and you may actually get one for free. 19. Bring plastic bags. Pack plastic bags so you can use them to throw your dirty clothes in and other items you want separated from the rest of your belongings in your luggage. 20. Power strip. Bring a power strip for your electronics, so you will only need one or two local adaptors. But make sure it's one that supports 240V. 21. Try calling the hotel. Try calling the hotel directly to see if there are better deals. 22. Bring your ATM card. Get cash from your ATM when traveling, because in most places, you'll get better rates. Check to see if this is true in the country you're traveling to. 23. Check the crime rates of the area you're going to. Just so you know what you're getting into, check the crime rates of the area you're staying in. The low prices might not be worth the stress of staying in an area where you're afraid for your safety. 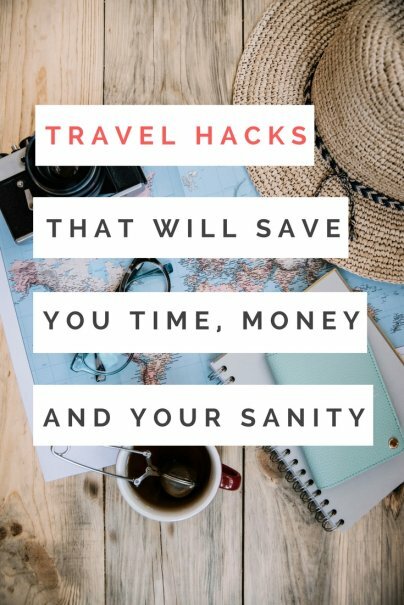 Here are 39 tips that will help you save on travel! Use a separate account for your travel ATM and debit card needs. Fund it only with what you expect to need while traveling. This will protect your main account from theft if your card is compromised. Give this account info to someone at home, and even add their name to the account. They can then put in funds in an emergency, and can talk to the bank on your behalf if the need arises. Tell your bank where and when you are traveling so they don't stop your card. Separately carry a credit card for emergency use. My family and I travel at least twice a year and I loved all of your suggestions. Two ideas that I have never thought about is keeping a copy of our passports in our email and also the money belt!